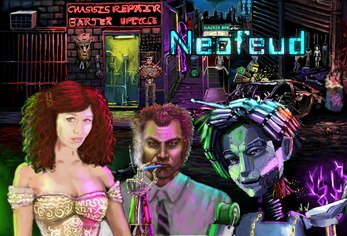 The Neofeud soundtrack consists of 46 tracks clocking in at 2 1/2 hours of music. 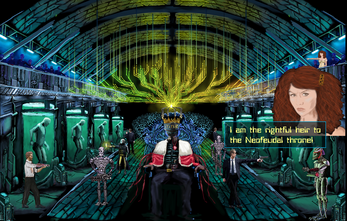 It was composed by Christian Miller, the one-person developer of Neofeud. 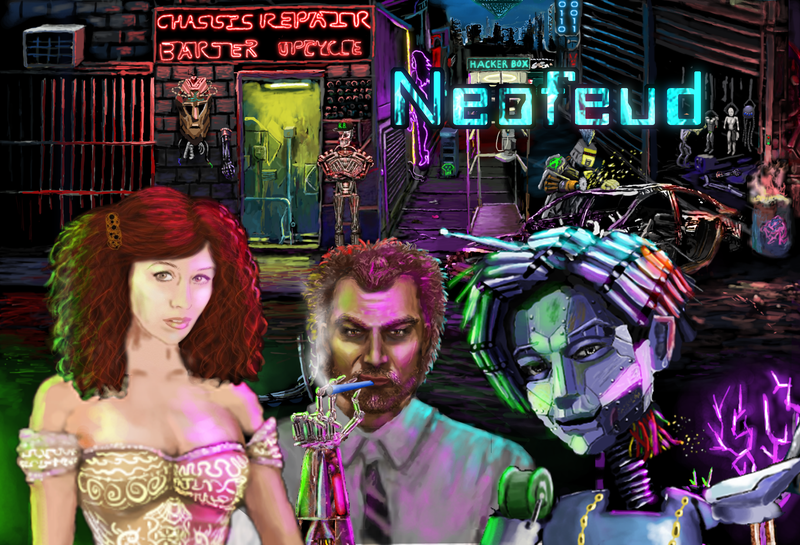 Inspired by everything from Bladerunner synthscapes to 80's 8-bit nostalgia, from orchestral grandeur to machine-raging rock and industrial, the Neofeud soundtrack reflects the stratified cyberpunk world of the game itself. 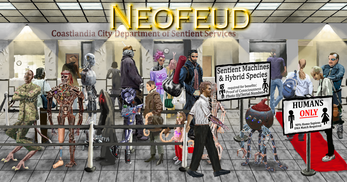 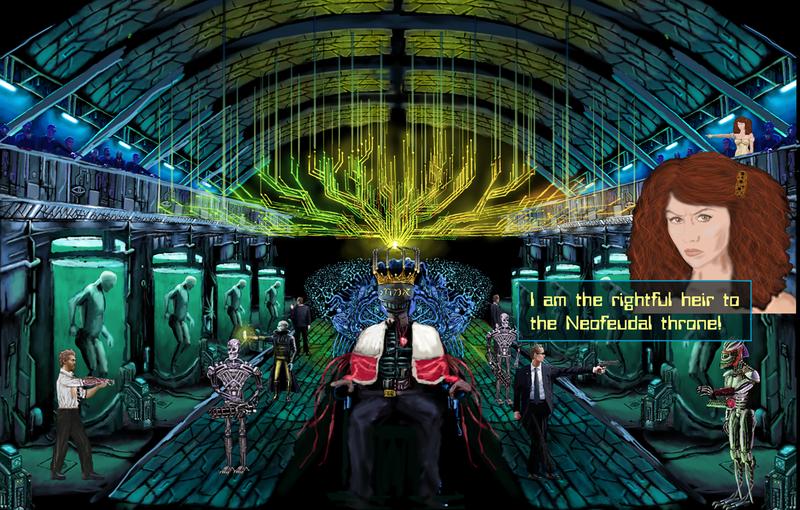 The Neofeud Soundtrack also won "Best Music" in the Adventure Game Studio Awards 2017. 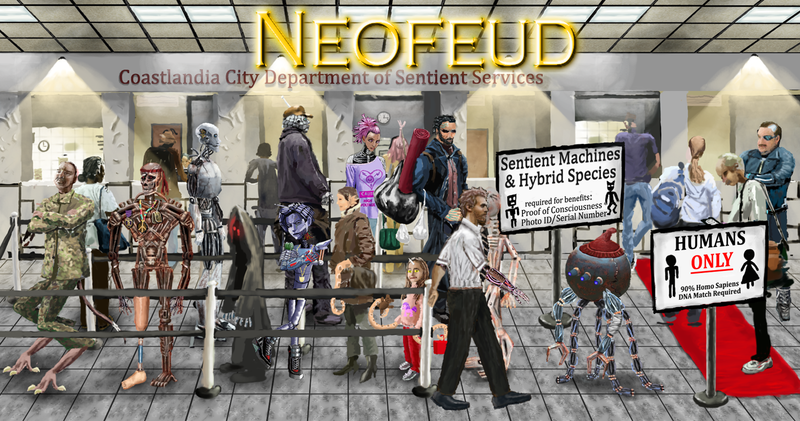 Neofeud Soundtrack "Best Music - AGS Awards 2017" Now on Itch!